CINCINNATI – The Wilmington Hurricane boys basketball team lost in non-conference action Saturday night at Winton Woods High School, 65-38. Winton Woods is now 12-6 on the season, while WHS sees its overall record fall to 7-11. 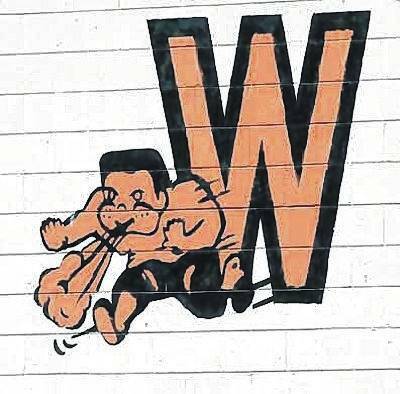 Wilmington kept the game close before the Warriors, formerly known as the Greenhills Pioneers, pulled away in the early minutes of the fourth quarter. Wilmington trailed by just single digits, 43-34, after three quarters. Winton Woods outscored WHS 11-2 in the first three minutes of the fourth, putting the game out of reach, 54-36. WHS scored just four points—all free throws— in the final quarter. Wilmington held a slim 12-10 lead at the end of the first quarter, but struggled offensively in the second period, scoring just five points. Wilmington trailed 22-17 at halftime. The much taller Warriors used their athleticism and quickness to their advantage in the second half, and they dominated the boards winning the rebounding battle, 40-21. WHS was held to just three offensive boards on the night, while the Warriors grabbed 15. Winton Woods placed three starters in double figures with Rashaun Brown and Aaron Ward scoring 16 points each. DeMari Martin added 14. Matthew Butcher led the Wilmington scoring attack with 15 points, including 10 in the third quarter. Butcher also connected for three treys on the night. Sam Jacobyansky added nine points, including six in the second half of play. As the regular season heads into the home stretch, Noszka says his squad needs to find a way to put it all together and get back on track. “Right now, we have two home games left and we need to send our seniors out on a winning note,” he said. The Hurricane will host Batavia Tuesday in SBAAC American Division action at Fred Summers Court. (65) WINTON WOODS (2fg-3fg-ft-tp) Martin 4-1-3-14, Brown 8-0-0-16, Ward 8-0-0-16, Walker 3-0-1-7, Phillips 2-0-0-4, Lawson 1-0-0-2, Burrell 0-1-0-3, Thomas 1-0-1-3. Team Totals: 27-2-5-65. (38) WILMINGTON (2fg-3fg-ft-tp) Morris 0-2-0-6, Coomer 0-2-0-6, Sweeney 0-0-0-0, Custis 0-0-2-2, Spears 0-0-0-0, Jacobyansky 1-1-4-9, Vilvens 0-0-0-0, Butcher 1-3-4-15, Stewart 0-0-0-0. Team Totals: 2-8-10-38.